Experience teacheth & so we find newer better ways of doing. 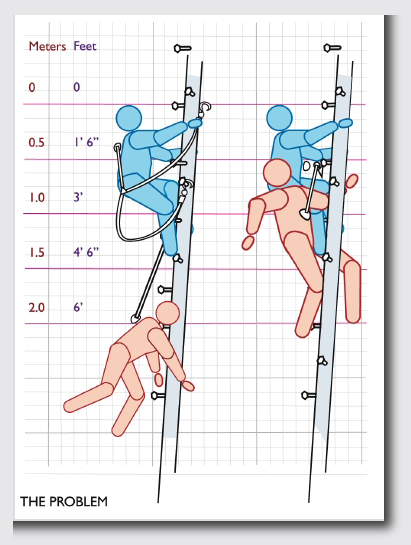 Certainly Rapid Rail International discovered they could make their internationally safer climbing systems even safer. Celebrating the innovation and sharing developments with their customers they asked us to create a new brochure. To emphasize the innovations of their products. To work with or stand independently of the previous brochure. Again the piece was geared to both the UK and USA markets. 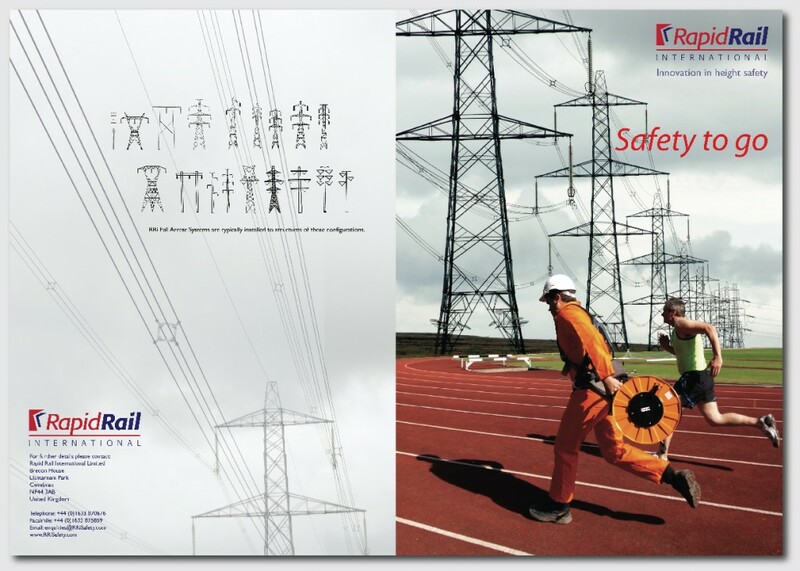 The cover image immediately tells us the system is light, the race track with the towers on the horizon alludes to the speed of putting this climbing safety system in place. 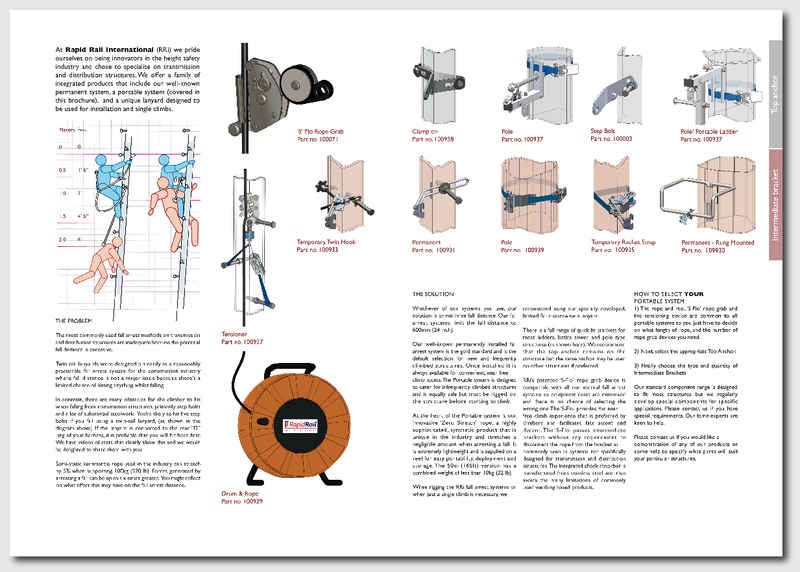 The inside cleanly explains the advantages of this climbing system. It’s ease of use. Portability and the various components that work together seamlessly. Highlighting RRI’s innovative ‘new’ and improved ‘S’ Flo grab & braking system. We altered our InfoGraphic created for the previous brochure to accommodate international markets.